Perhaps it’s a sign of the times, or just the traditional, stodgy Nintendo realizing how people want to consume games, but Mario coming to iOS is a big deal to me. You might not be aware, but today is my last at The Next Web. This is likely my last post, too (save for an embargo later on, but I wrote that yesterday; it’s how the sausage is made in media). It’s also a safe bet you’re not aware of my disdain towards Nintendo. Over time, I’ve formed a patina of anger regarding Nintendo’s stance on forcing gamers onto a console. That’s not because I hate console gaming, though — I’m just not into modern games very much. I’m in my 30s, and don’t have much time to plop down on a couch and get tucked into a game. Apple TV lets me scratch that itch now and again, but I’m fundamentally more interested in mobile gaming, now. There’s also nothing that really excites me about console gaming anymore. I’d much rather play older titles I grew up loving on a smartphone or Apple TV. Which means Contra. And Ninja Gaiden. And Kid Icarus. Mario, too (I love Super Mario 2; come at me). Can I get some Excitebike, too? While Nintendo’s newest endless runner isn’t really what I want, it feels like a concession. Nintendo seems willing to acknowledge that we want mobile games more than console options, and that it was probably wrong to eschew mobile for as long as it has. It’s also acknowledging that I’m still a core audience; the retro-gaming fan who doesn’t want to fuss with set-top boxes or cartridges. 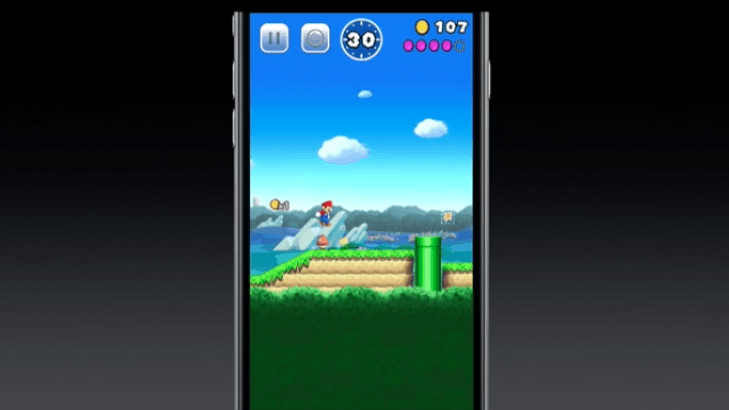 When Apple announced Mario was coming to iOS, I teared up. Yes, I’m a 30-something who is emotional about Mario on mobile, even as I write this. I legit just teared up. LEGIT. This solves everything for me. I’m so happy! MARIO!!! It’s not because Nintendo straight-up ported a legacy title — that would have sent me into a conniption. It’s that Nintendo, via its living gaming deity Shigeru Miyamoto, brought its most valuable property to mobile. And that gives me hope that it’ll someday realize that bringing older games to mobile is the right thing to do, because we want to love Nintendo. Not being able to enjoy old favorites in our new reality makes that difficult. But as I step away from the day-to-day grind of tech news blogging, I’m left with renewed belief in Nintendo. Maybe I’ll actually see the games I love come to mobile one day. I was making demands of Nintendo to port old games to iOS — a one-sided bargain that I was unlikely to succeed with. If Nintendo can bring Mario to mobile — something it said would never happen — it can do anything. For a company that holds all the cards, and ignores all the new-school rules we insist it plays by, today felt like a huge step in the right direction. It’s still not what I want, but it’s closer than we’ve ever been. For that, I’m grateful.